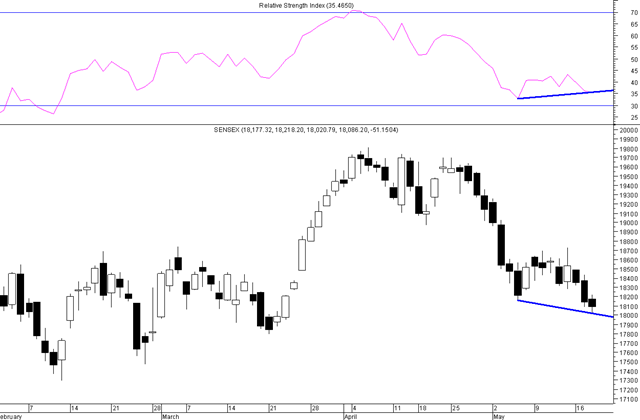 Sensex – RSI positive Divergence, Reliance Inds a major trend decider. This may not be a great indicator to decide trades but currently it is showing positive divergence which indicates the current drop below 18160 does not have the strength so one may be careful with taking shorts. 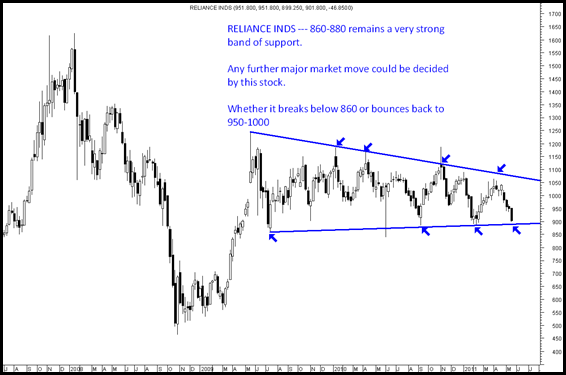 Although holding above 18000 can give a spike up of 100-300 points on the upside. The trend remains down for short term but there is no strength. Its better to be on sidelines then to take any action. 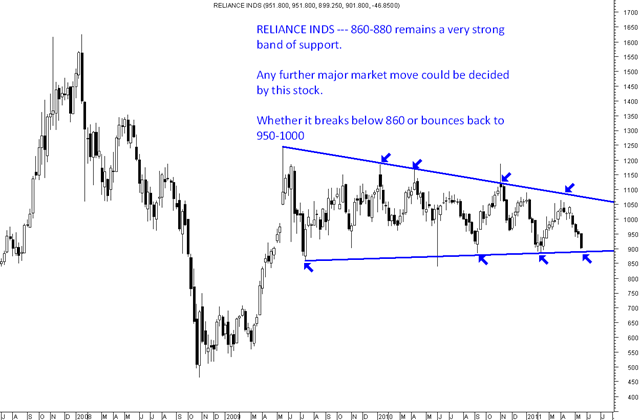 RELIANCE INDS --- The next big move for the index will be decided by this heavyweight. There is no consistent trend in the market so we would prefer to avoid much of trades. Example – Orchid Chemicals was on a verge of breakout but ended up at 280 levels down 10%. Got a stoploss hit on short term trade at 308 for entry at 315.
any picks in Bank for medium term (PSU/private) i hold CBI and ICICI, can they be bought further? 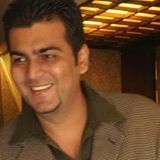 HI NOORESH. 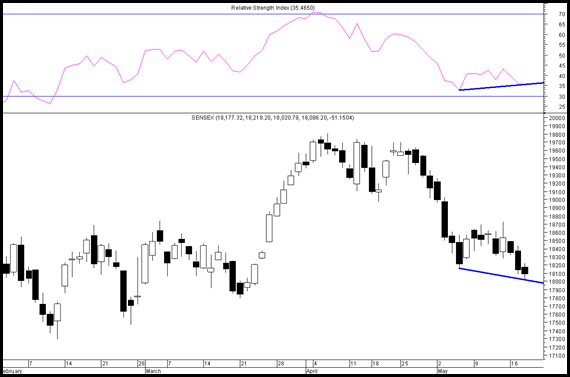 THE 300 POINTS BOUNCE ON THE SENSEX CAN BRING A 100 POINTS ON THE NIFTY TOO. CAN WE SAFELY ASSUME THAT THE EXPIRY WILL BE ABOVE THE 5520-50 MARK? Rahul as i have said before buy around 1450-1470. The trend remains positive. Any views on MIC Electronics? Is it a good buy around 18? I think there has been a significant drop in EPS in Q4.